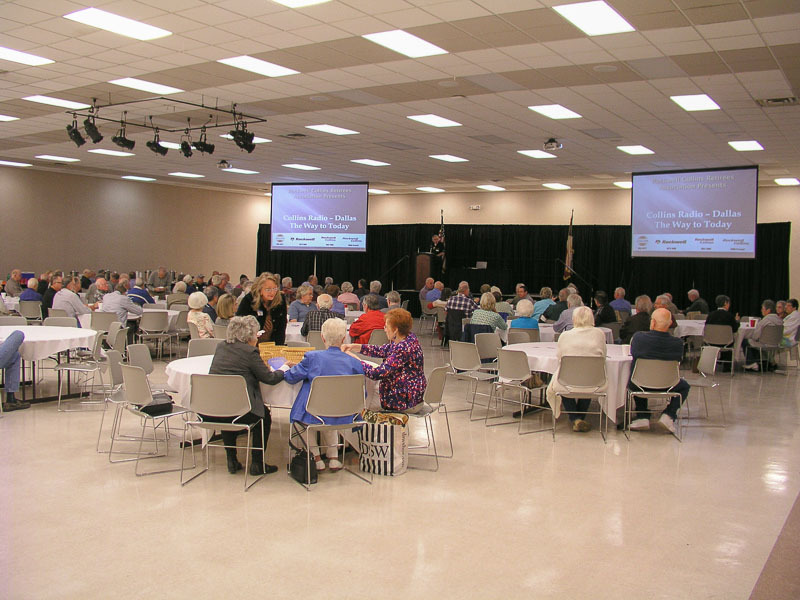 We also made it to the October 2016 Rockwell-Collins Retirees meeting at the Richardson Civic Center. I even got Angie to go! And who should we run into but the Wallners with Mike Lewis. It's been a while since I've seen Mike. He'd just picked a big mess of okra from his garden and gifted us with some, small and tender just like we like it. 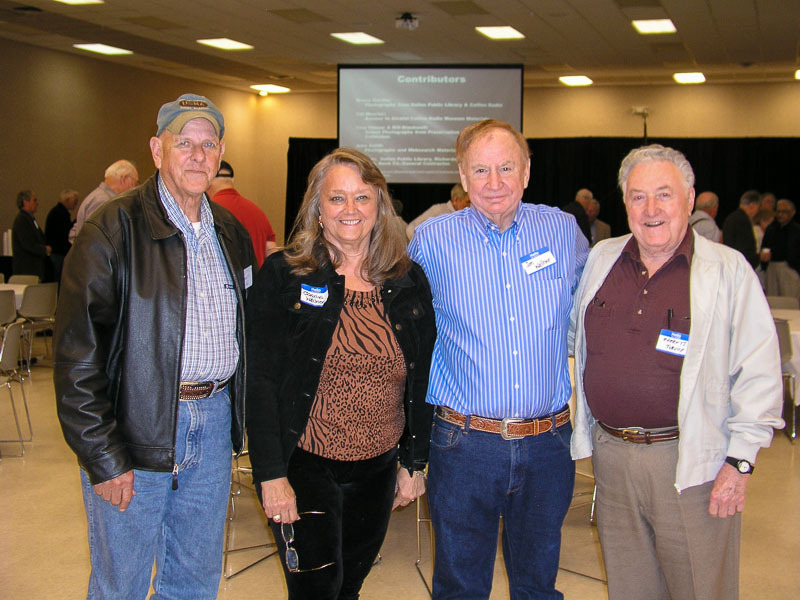 There was a nice turnout at the Rockwell-Retirees Association meeting April 17, 2014 in anticipation of the presentation on the history of Collins in the Richardson/Dallas area. 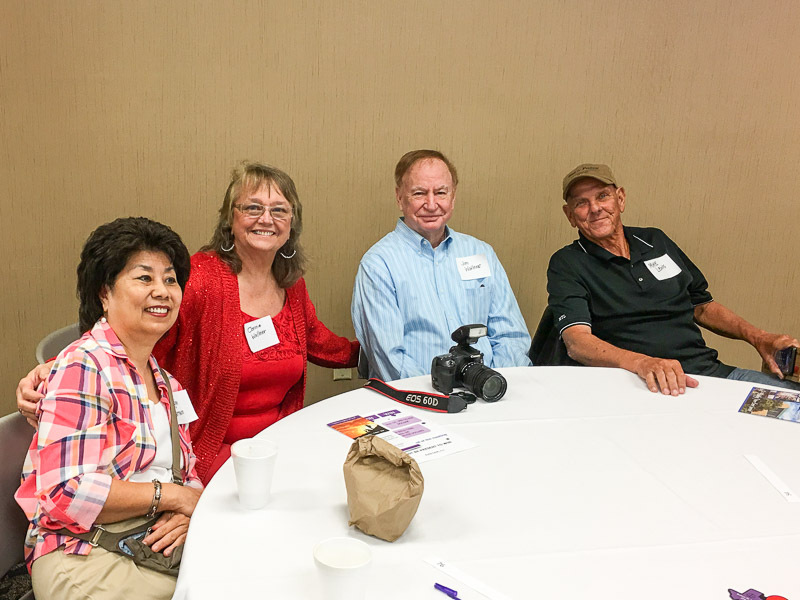 Everyone had a great time reminiscing about the good old days and telling "war stories". Goodness gracious, Mike Lewis even showed up at the Rockwell-Collins Retirees meeting! I caught him along with Jim and Connie Wallner and Everett Turvey for a picture. 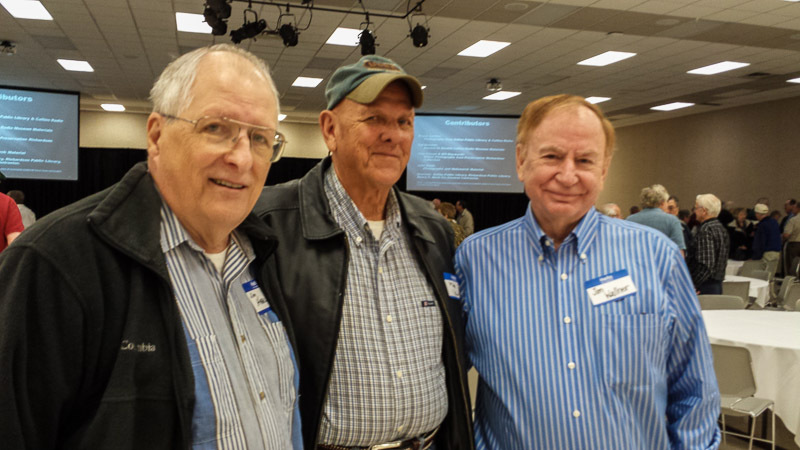 Connie snapped this picture for me of myself with Mike Lewis and Jim Wallner at the Rockwell-Collins Retiree meeting.